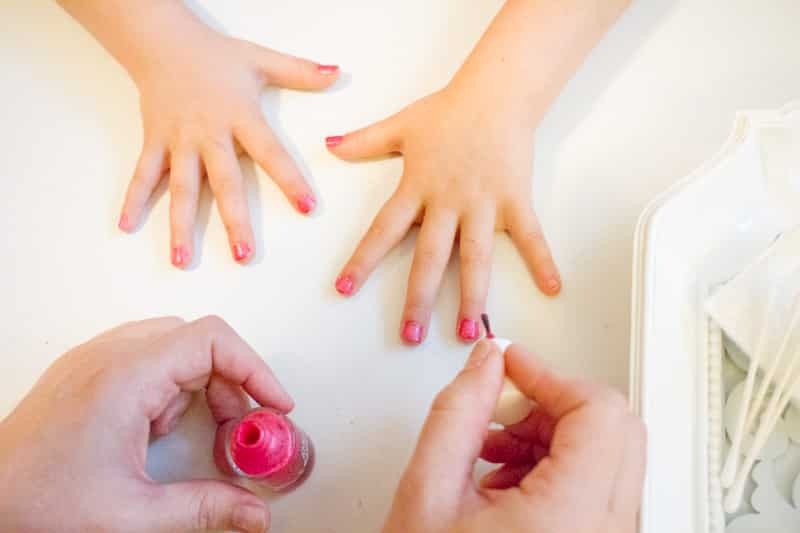 From the moment I heard my daughter say those words to me as she adoringly admired my fresh manicure (a rarity and a luxury for me), I knew I was in big trouble. Sure enough, the next words out of her mouth begged me to make her nails pink too. Sigh. I had wanted to avoid putting fingernail polish on my little girl’s nails for as long as possible. Being a pretty naturally-minded individual (read: a hippie), I knew what kinds of toxic chemicals were loaded into all those pretty little colored bottles. I was not about to put all of those harsh ingredients onto my perfect baby’s body. But then I discovered Piggy Paint and I knew my reputation as a good mother would be saved for the time being, at least in my daughter’s eyes. 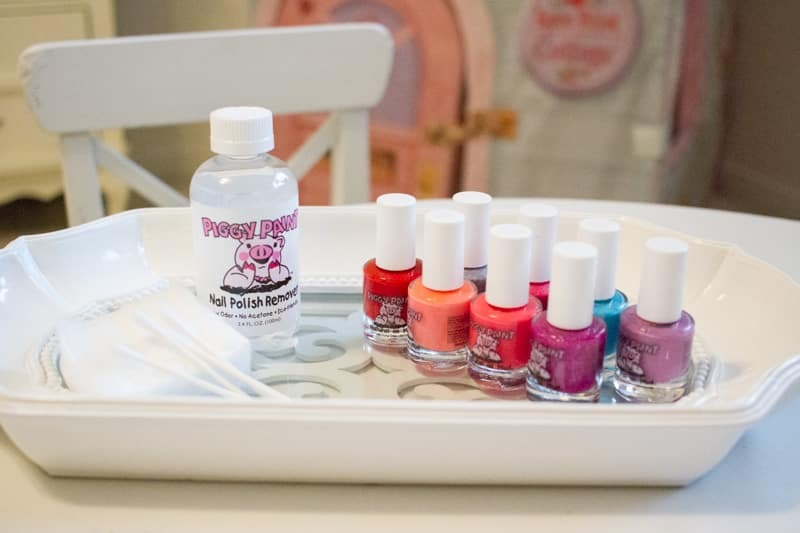 Piggy Paint is a non-toxic, low-odor, nail polish completely free of harsh chemicals and formulated to dry to a hard, durable finish. It is safe for kids and safe for pregnant mamas! The nail polish comes in a wide variety of colors, too. How Do I Use Piggy Paint? Piggy Paint is applied very simply, but should always be used by an adult or under an adult’s supervision. Wash hands with soap and thoroughly dry. Apply 2-3 think coats of your favorite Piggy Paint color. Air dry for 60 seconds. Blow dry nails on low setting for 60 seconds (this step is optional but will maximize chip resistance). So easy, right? My daughter was thrilled to be able to choose from the wide assortment of colors. She chose Forever Fancy for her fingernails and Periwinkle Little Star for her toes. My little princess was over the moon excited to finally get her nails painted just like mommy. And I was thrilled to see her joy over something as simple as a home manicure. I felt completely comfortable putting Piggy Paint on her nails and I was very pleased at how easily it went on and the coverage it provided. I found Piggy Paint to be easy to use, low to no odor, and it dried much quicker than I expected, which is a HUGE bonus when you have a very active toddler who can’t sit still longer than five minutes! 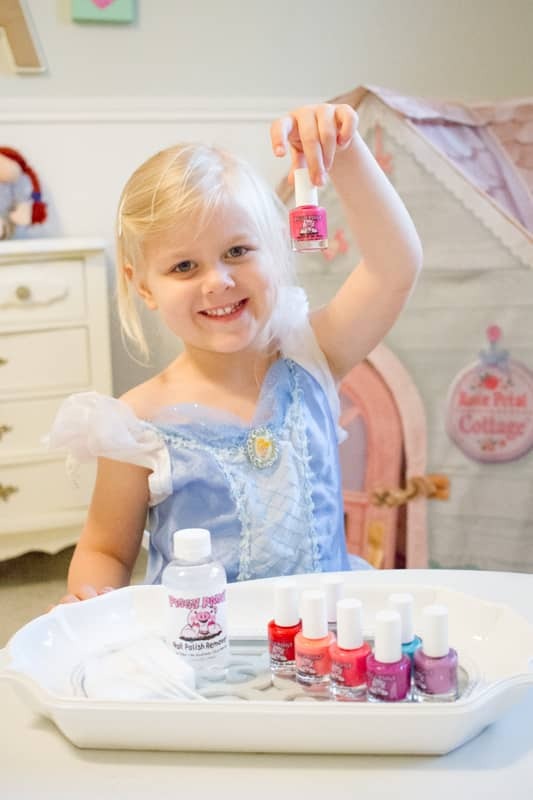 I also love that when we’re ready to take off her polish, Piggy Paint has a low-odor, hypoallergenic, acetone-free remover that will do the job. 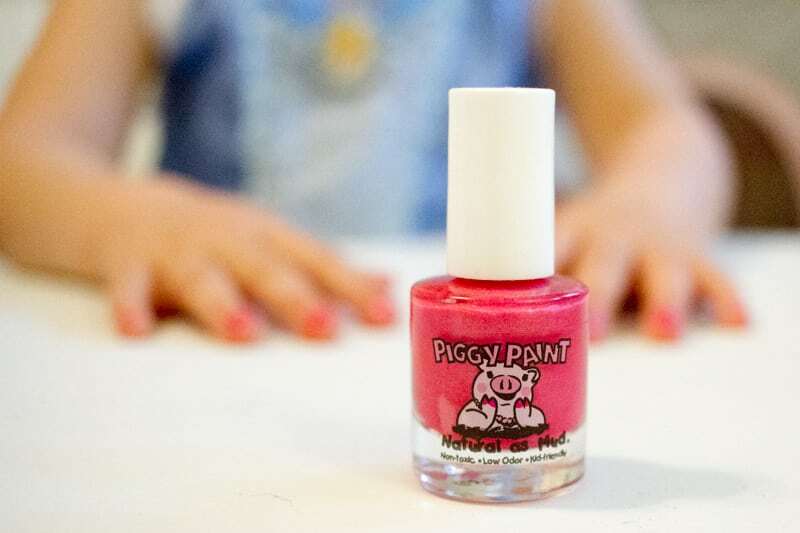 I am so excited I got a chance to try Piggy Paint and I can honestly tell you that I will be using this nail polish on my baby’s tiny toes and fingers for as long as she’ll let me! Piggy Paint makes this hippie mama feel much more at ease about giving my little princess all the manicures her little heart desires.